This program has two separate language learning groups. 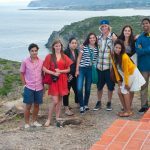 Both groups will develop their Spanish language skills through 50+ hours of exposure and practice through formal classes, experiential learning activities, host family interactions, peer-to-peer practice, and more. 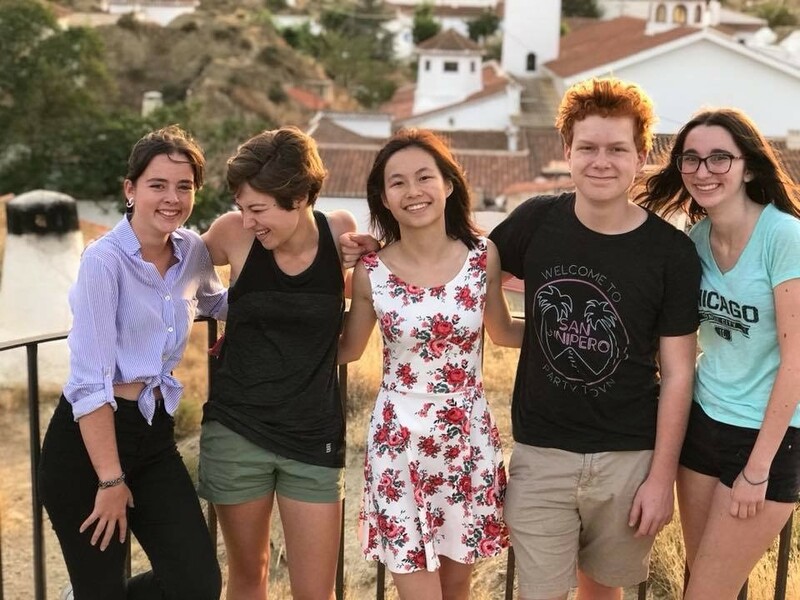 Group One has formal language instruction in the historic city of Granada, where the group will attend exclusive small classes divided by level at the Centro de Lenguas y Educación Intercultural. In addition to formal instruction, this group will learn through music, film, city scavenger hunts, field trips, and organized activities with local students such as playing sports. Group Two will also have formal language classes as well as immersive arts training in Guadix, delivered fully in Spanish. You will practice by doing, using, and developing your Spanish language skills in ceramics, theater, or other arts classes. Both groups will visit and explore Granada, Guadix, and Alhambra. At the conclusion of this program, participants will earn a language certificate noting the number of hours of language classes completed. Learn about the history and culture of Spain through visits to famous sites and museums throughout the city, such as the Palacio Real, Prado Museum, Reina Sofía Museum, Plaza de la Encarnación, and the historic Hapsburgs District. 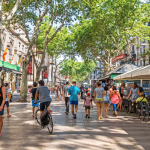 Explore down town Madrid and its diverse neighborhoods, navigate the metro, and sample Spanish cuisine in local restaurants and markets. 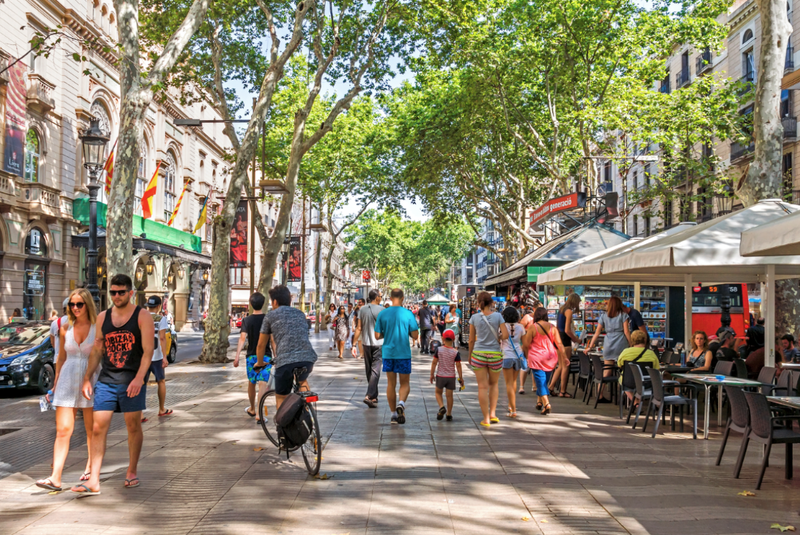 Practice your Spanish language skills with locals and shop clerks. Picnic and people watch like a local in the serene Retiro Park. Go on a daylong excursion to the “Imperial City” Toledo, a UESCO world heritage site, and marvel at its diverse architecture and historic sites and learn about its expansive cultural heritage. During the orientation period, you and your group will stay in a centrally located hostel. Explore your host community and the surrounding area with your group, such as hiking nature trails, visiting the seaside and nearby beaches, or kayaking at a reservoir. Visit the the Neighbourhood of Caves, where much of the town’s population lives underground. During this period, you and your group will stay in a centrally located hostel. 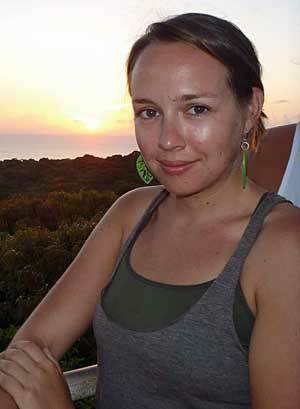 Anne Huber is an enthusiastic traveler from Bloomington, Minnesota. She graduated from Macalester College in 2014, majoring in international studies and Hispanic studies. 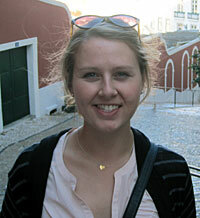 Anne has participated in a number of study abroad programs. 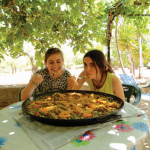 After an AFS summer program in Argentina, she decided to do a year-long Rotary Youth Exchange in southern Brazil before starting college, and while in college, she spent a semester in Spain studying at the University of Seville. Through these experiences, Anne learned how to live with different host families, travel to new places, and love trying new (and sometimes seemingly peculiar) foods. During her time at Macalester, Anne served as a leader for new student orientation programs, as a writing mentor, and as a Portuguese language lab instructor. She also had the opportunity to spend a summer interning at the US Embassy in Lisbon, Portugal, in the Office of Public Affairs. Anne will spend 2015 working at a federal university in Brazil as a Fulbright English teaching assistant. When she is not traveling or studying, Anne is busy running, spending time with her family, reading, dancing, and going to concerts. One day, she hopes to join the Foreign Service and have two dogs. A native of Atlanta, Georgia, Brian Long graduated from Georgia State University in 2007 with a BA in Spanish and completed his Master of International Business there the following year. After finishing graduate school, Brian worked for the Omar Dengo Foundation, a nonprofit in San Jose, where he procured funding for grants that aided micro-entrepreneurs and underprivileged children. Next, he traveled to Seoul, South Korea, to teach English for a year, learning basic Korean along the way. In 2009, he returned to the States to begin work as a Spanish teacher in Tampa, Florida. 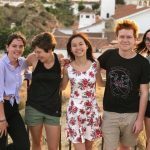 In between positions, Brian has led seven different groups of teenagers abroad to Europe and Central America, including a group of Experimenters to Spain in 2014. When not traveling, Brian spends time with his two dogs and enjoys hosting trivia nights at a local restaurant. A native of the Berkshires, Massachusetts, Jess was bitten by the travel bug in high school when she traveled to France and Spain on a cultural immersion program with classmates. Jess graduated from Smith College in 2008 with a BA in Spanish after spending her college summers volunteering at wildlife centers in Ecuador. Upon graduation, she completed a teaching fellowship in Spain awarded by the Ministry of Education. Her next adventure was a three-year stint with the Peace Corps in El Salvador, where she served as a youth development volunteer and regional coordinator. Inspired by her transformative experiences abroad, Jess decided to pursue her master’s degree in international education at SIT Graduate Institute. She is currently completing the practicum phase of her degree, working as the assistant field office director with Semester at Sea. As part of this practicum, Jess will set sail in spring 2015 with Semester At Sea’s “Around the World” semester-long voyage. Kristi Anne Syrdahl is a native of Brooklyn, New York. She graduated from New York University in 2000 with a BA in Latin American studies and economic development and from NYU again in 2008 with an MA in higher education and student services administration, with a concentration in international education. In addition, Kristi earned a certificate to teach English as a Second Language from The New School in 2005 and a certificate of completion for the summer peacebuilding institute at SIT Graduate Institute in 2013. Kristi began her overseas travels as a child, visiting family in Scandinavia and later participating in high school exchange programs to Spain and Argentina. As an undergraduate, Kristi studied in the Czech Republic, and as a graduate student, she participated in short-term research trips to Puerto Rico and Israel. Kristi has taught English in Rome, Italy, and Wroclaw, Poland, and she current serves as director of the International Student Services Office at Elizabethtown College. Kristi is married to Hernan, who comes from Peru, and they speak “Spanglish” at home. She loves all animals — cats and elephants in particular — is nuts about reading historical fiction, enjoys new languages and cultures, and is an avid cook and cheese lover. 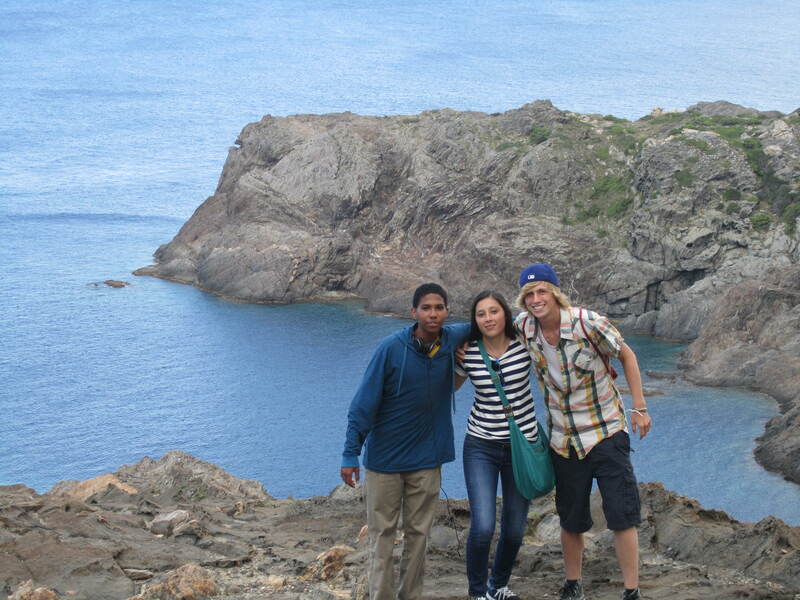 Going to Spain with the Experiment was the best decision of my life. Not only was I able to understand the Spanish culture and language but i was also immersed in courses where I learned Spanish, ceramics, and flamenco dancing. I was able to do tours of authentic places in Spain where the tourist population is minimal to none. I felt like doing this I was able to have a better experience and understanding of the Spanish culture and improved my Spanish because I was forced to communicate by speaking only Spanish. 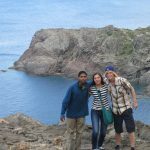 From exploring the streets of Madrid and Toledo, to meeting our homestay families in Guadix, to taking language and history classes in Granada, my time in Spain succeeded all my expectations. While I was the most anxious about the homestay portion of the trip, I ended up absolutely loving it. My family was beyond welcoming, and even though the language barrier was difficult to take in at first, I grew more comfortable communicating as time went by. I have so many great memories with my family from Guadix and they were, without a doubt, one the hardest goodbyes. I must say that my trip to Spain was all that I expected and more. Throughout the trip, I was taught the Spanish language through complete immersion, and I learned more than I thought possible. I think it’s important that future participants realize that this trip is a learning experience designed so that any Spanish language background is fine. This was most emphasized by my lack of in-depth knowledge because of the few language classes I had taken prior. 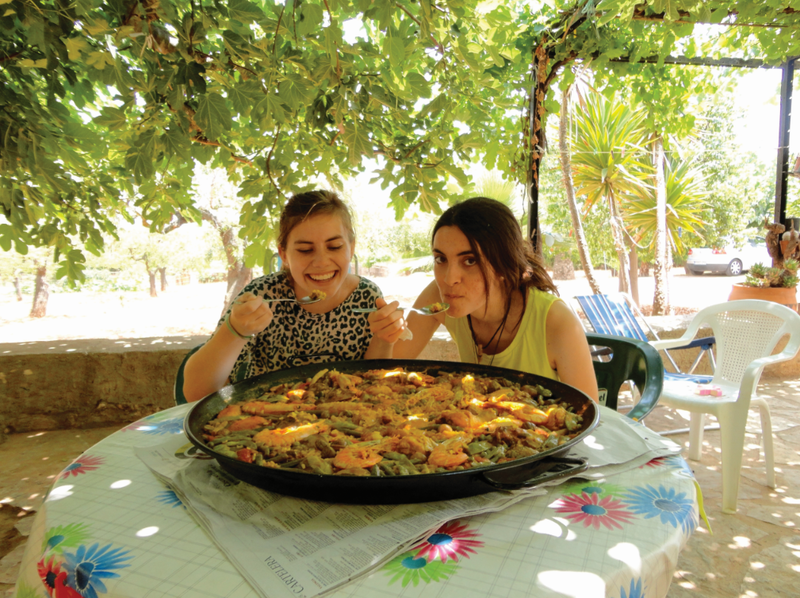 This summer, I participated in one of your programs in southern Spain. Without a doubt, I can say it was the most enriching and cultural five weeks of my life. Your program’s perfect mixture of letting the student observe the country and live like one of its occupants, gave me the once in a lifetime opportunity to really say that I’ve explored Spain. I’ve been able to visit Madrid and Barcelona, as have many other tourists, but I can also say that I got to live with a Spanish family- eat with them, talk to them, and feel like a part of them. I’ve had to catch the bus in the morning, go pick up something at the grocery store, or get ice cream with my host sister and her friends before we hung out in a royal garden- things that the average Spaniard does every day. 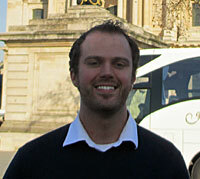 I’ve also learned about the history and culture not just by looking at old monuments, but through experience. For example, going to a flamenco show that was kept alive through family tradition, or exploring an ancient Moorish castle. As a result of going deeper than the surface, I really came out of this journey with an education and admiration of Spain and its customs. Moreover, I’ve made amazing friends with both American and Spanish people. Within the program, there was such a unique blend of students like myself, and supportive group leaders who were always there to help. I can’t fail to mention my fantastic host family, which welcomed me with open arms and within a matter of a week made a big foreign city full of strangers feel like my home. They showed a lot patience, teaching me about their way of life and showing interest in mine at home. I formed a great bond with them and have kept in touch with them since I have returned. I would have never imagined myself hiking in the Pyrenees, walking through the Olympic village, or having a picnic on a thousand year old palace ground. I’ve learned to open my mind towards other cultures and to be more willing and patient with new things. I’ve also thought a lot of returning to live in Spain for a period of time in the future. Mainly, this program has given me so much more than just something to do during the summer, but great memories in the past and the desire to create new ones.